Dermatology is a part of medicine that deals with disorders of skin, nails, hair and mucous membranes, a lubricating tissue lining an internal surface or an organ. • Prevents dehydration by holding body fluids inside. 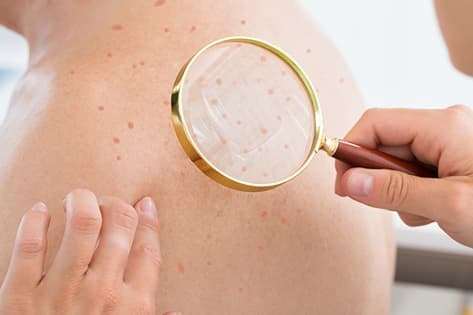 Skin diseases, numbering over a known 3000 types are normally caused by allergies, irritation, clogging or inflammation, with symptoms like redness, swelling, and itching. As one of the best dermatology care hospitals in Kochi, EMC provides the services of a team of specialists with a wide range of experience in the diagnosis and treatment of various skin diseases. • Other day-to-day factors such as the sun burn, strenuous exercises, eating high amounts of spicy food etc.